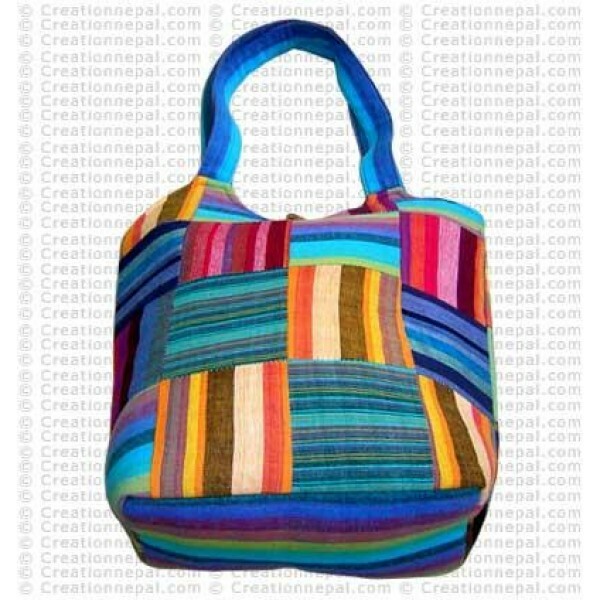 100% thin stripe cotton patch bag with durable polyester lining and inside zipper pocket. There is a thin layer of thermol foam used to make the bag in its nicer shape. Bag's thickness is 5 inch and has 25 inches long strap and wooden button close.